You’ve probably heard about the symptoms of low testosterone on television and in popular magazines, but are you aware of the benefits of testosterone replacement therapy? Read on to learn more, and get in touch with Men’s Vitality Center in Tucson today to schedule an appointment! While each of these symptoms can be explained by other conditions, they can provide your doctor with an indication that you’re suffering the effects of low testosterone when they appear in combination. Testosterone levels are measured through a blood test, and your doctor will be looking for an amount of less than 300 mg/dL. Your doctor will probably recommend starting testosterone replacement therapy as soon as you have been diagnosed with low testosterone levels. 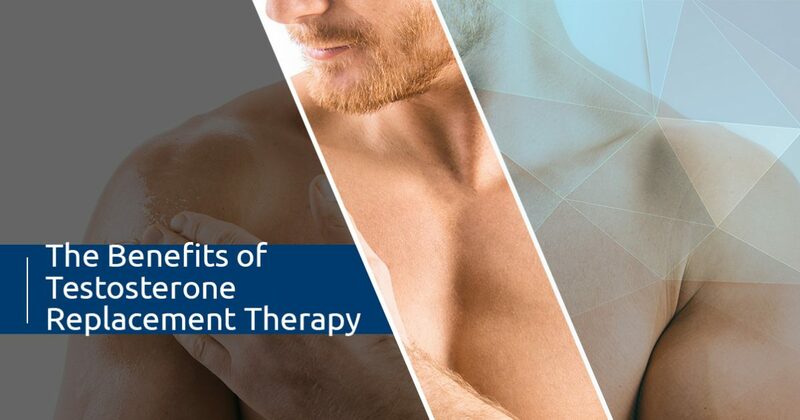 While there are many different forms of testosterone replacement therapy available both by prescription and over-the-counter-purchase, weekly injections of testosterone have been found to be the most effective way to improve testosterone levels. At Men’s Vitality Center, we schedule injections of FDA-approved, bioidentical testosterone cypionate every seven days to ensure that our patients receive the best possible treatment for their symptoms. Testosterone improves the production of red blood cells, increasing the amount of oxygen delivered to muscles and organs. A recent study of more than 83,000 men found that men who receive testosterone replacement therapy are 24 percent less likely to experience a heart attack, and 36 percent less likely than their low-testosterone counterparts to suffer a stroke. Combined with a healthy diet and exercise, you’ll find that you quickly shed unwanted pounds and gain lean muscle mass after beginning testosterone replacement therapy. As we noted above, some of the most prominent symptoms of low testosterone are anxiety, depression, and a lack of motivation. Most of the men we treat see a significant improvement in their mood and overall quality of life. It’s normal to lose bone density as you age, but the risk of developing osteoporosis is significantly higher in men with low testosterone levels. Clinical trials have found that testosterone replacement therapy can increase bone density in the spine and hips. These are just a few of the ways in which testosterone replacement therapy can help you restore your health. If you’re interested in learning more, then get in touch with a member of our Tucson office today for an appointment! We look forward to speaking with you soon.